The Oxford English Dictionary defines a sandwich as “an item of food consisting of two pieces of bread with a filling between them, eaten as a light meal.” Seems like a simple enough concept. So, who came up with this innovative way of serving food? While I’m sure the 4th Earl of Sandwich would like all the credit, the true history of the sandwich goes back much further. A minister of state passed four and twenty hours at a public gaming-table, so absorbed in play, that, during the whole time, he had no subsistence but a piece of beef, between two slices of toasted bread, which he ate without ever quitting the game. This new dish grew highly in vogue, during my residence in London; it was called by the name of the minister who invented it. While it is not clear if this anecdote is completely true, the book gained popularity and the story took hold. Soon the name was official — other people, according to this account, began to order “the same as Sandwich!”, and thus the “sandwich” was born. Afternoon tea was introduced in England by Anna, the seventh Duchess of Bedford, in the year 1840. The Duchess would become hungry around 4 o’clock in the afternoon. The evening meal in most upper class households at that time was served fashionably late at eight o’clock, thus leaving a long period of time between luncheon and dinner. 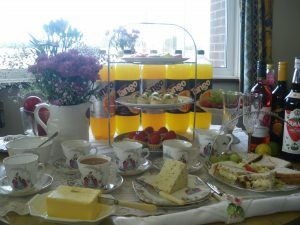 The Duchess asked that a tray of tea, bread, butter and cake be brought to her room during the late afternoon. This was thought to be an excellent idea, and the habit caught on, thus afternoon tea was born. CROFT MEMORIAL HALL, Mustard Lane, Croft, Warrington WA3 7BQ – 2 minute drive off the A580 East Lancs Road and 5 minutes from the M62 and M6 intersections with easy access from Liverpool, Manchester and beyond. Adults only please. 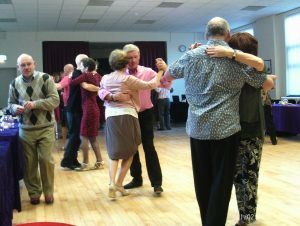 Our average age group is 40-80 and our dancers can wear stilleto-heeled shoes whilst dancing to milonga tracks which is very energetic – we therefore respectfully request that parent/grandparents DO NOT bring along children/teenagers under the age of 18 years old. Our Public Liability Insurance documents specifically state that our clientele MUST be aged 18 years or older. We are not covered for injuries to or caused by under 18s. 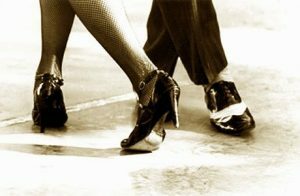 – see you on the dance floor!